Ulupna Winery is a mother and daughter team effort by a couple of incredible wine chicks, Kathy Bogdan and Viviana Ferrari. And what’s even MORE fabulous is that the very name ‘Ulupna’ most commonly translates as ‘strong women’ from the local Aboriginal Yorta Yorta dialect. 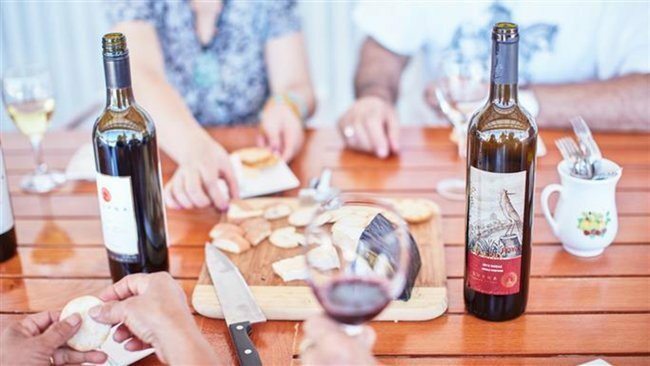 Ulupna produce single vineyard wines from their Goulburn Valley vineyards as well as an exciting series that draws from further afield under the Viviana Ferrari Collection label. With the Viviana Ferrari Collection, Ulupna Winery aims to craft a curated experience tailored to the global traveller. Australian wines from diverse regions are carefully selected and blended so as to be matched to fashion, fine dining, luxury retail and the individual needs of the modern-day consumer. Ulupna wines have received numerous awards and accolades, and their wines are top performers on the show circuit. The only reason you may not have heard of them before? They’re so limited in number! So now you’re in on the secret, don’t waste another moment in trying them. From their own vineyards, Ulupna produce premium Cabernet Sauvignon, Shiraz and Chardonnay under several labels. Ulupna Domain and Royal Phoenix labels are premium wines and very limited in number. Their consistent high quality is ensured by using the latest, most innovative wine-making technologies. By appointment only. Phone +61 419 994 500 to make a booking!